The terrain got more and more featureless as I walked for what seemed like ages – quite unsettling. Luckily though, I recognized a patch of unhealthy forestry to the SW which I knew from last time was close to SB’s main summit. Having veered too far to the E, I now headed for the forestry, passing through an old wire fence and following it uphill. I knew Lough Sallagh and the SE top were nearby but because the lough is higher than much of the surrounding terrain it can be elusive. 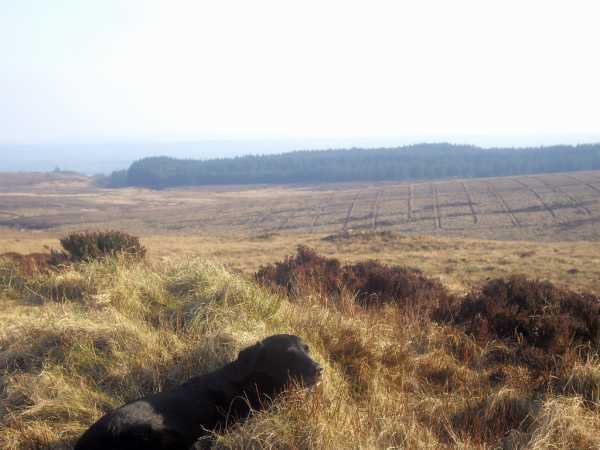 As others have said, the SE top is on a small but distinctive bump just to the SE of Lough Sallagh. The map says the lough is 368m, just 5m lower than the peak - if anything it feels like less. An old beer tin lying in a hole was the only feature to suggest this was a county high point! What caught my attention however was a prominent ring contour nearby to the NE (in Tyrone), which was obviously higher than the SE top. Three5four0 mentioned this rise, E of the one with the mast, and I agree that anyone else up here with an altimeter should try to find out if this is Beagh’s true summit.